Over the course of the bestselling Elm Creek Quilts series, readers have expressed a longing to visit Elm Creek Manor, meet the quilters themselves, and admire their beautiful creations. 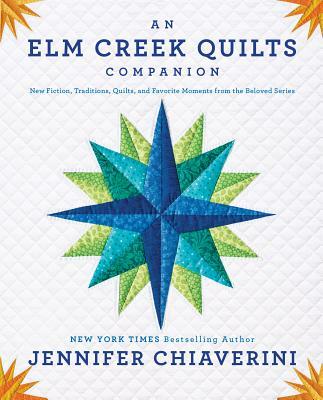 Jennifer Chiaverini’s An Elm Creek Quilts Companion is the next best thing to a guided tour. Inside, readers will discover a treasure trove of delights, including the Bergstrom family tree, character biographies, quilt block illustrations, full-color photographs of quilts featured in the novels, and “Behind the Scenes at Elm Creek Quilt Camp,” an exclusive short story inspired by questions from real readers. No Elm Creek Quilts fan will want to be without this indispensable guide to the cherished series. Jennifer Chiaverini is a graduate of the University of Notre Dame and the University of Chicago. She lives with her husband and son in Madison, Wisconsin.